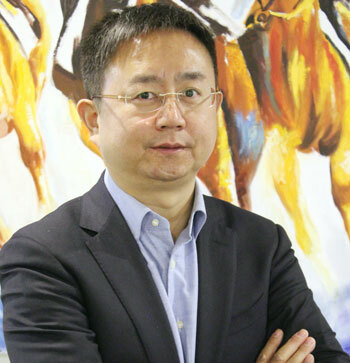 Zong today announced the appointment of Mr. Liu Dianfeng as the new Chairman and Chief Executive Officer of the company, a company statement said. Liu succeeds Dr. Fan YunJun, who shall be moving back to CMCC to pursue a new role with the company. Dr. Fan YunJun was appointed Zong’s CEO in 2011. During his tenure Zong saw tremendous growth in terms of subscriber base; Zong has taken over the number 3 spot. Liu, the new CEO of Zong, has earned an Executive MBA program from Cheung Kong Graduate School of Business, Asia’s leading business school. He received his master’s degree from the graduate school, Chinese Academy of Sciences. “I have had a wonderful time at Zong and in Pakistan, but it is time for me to go back and take over yet another challenging role. I will cherish the memories and take back with me vital experience gained from my time here. Liu is going to lead Zong at a time when 3G & 4G has just been launched in the country and the company is on route to bring the most advanced technology to Pakistan. The innovations we will bring along with the worlds most advanced network not only covers handset manufacturing but also includes leading ICT solution to all industries including education, medical, security, financial etc. ya bhai Pakistan main office sambhanly gaye ya China main? Aap ke bhe to two thakanay hai aik Canada dosra Pakistan. so from one Chinese CEO to another Chinese CEO . They are unable to find a capable Pakistani CEO….. This change is important at a time when Zong is going to lead data market through 3G/4G.It is expected that 3G/4G Tariffs of Zong will be reduced now drastically just like Telenor and Mobilink.Zong will have to concentrate more on quality and Tariffs now to compete with market leaders Telenor and Mobilink.